Matthew Whitfield is a former Royal Navy Fighter Pilot and Intelligence Service Pilot Trainer (MI5). He has spent 26 years leading high-performance teams in some of the most challenging and dangerous environments. Towards the end of his career, he was selected to work with UK Special Forces and the Security Services on the UK’s enduring counter-terrorism and counter-espionage operations. Matt leverages his experience of coaching the UK’s most elite pilots, to help others attain the same high level of performance, including the Bank of England, Coca Cola, and the NHS. He enables organisations worldwide to maximise individual potential and enhance performance. As well as a TEDx and worldwide keynote speaker, Matthew is also an ICF accredited executive coach on high-performance leadership. Being a licensed practitioner of MiRo Psychometrics and The Performance Centre Tool allows him to uncover your team’s behaviours and motivations thus supporting you to improve performance. Warm, empathetic and engaging, Matt is exceptional at building relationships based on trust and mutual respect. His approachable nature coupled with a razor-sharp focus on performance help him get the very best out of people through a combination of challenge and support. 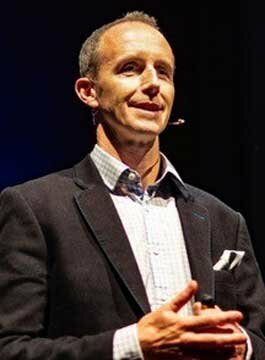 Matthew will teach you how to realise your employees’ greatest potential using the same techniques he taught in the Secret Service (MI5) and the Royal Navy. Learn how to develop elite, self-aware and committed leaders. Discover how your leadership style influences performance. How does your team behave when no one is watching? How to get the most out of your workplace climate. Assess how your team performs in a NASA time-pressured task. You will leave knowing how to deal with high-pressure environments. Discover why you should trust your team and also how to attain this company culture. Academy of Chief Executives Chair, Business Growth Specialist, Executive Coach and Mentor, CEO, MD and NED. CEO Blue Mountain Group and Ex-SAS Senior Leader. Former Senior Account Manager, Boots USA.